Your password isn't as secure as you think. People's perceptions of password strength may not always match reality, according to a recent study by CyLab, Carnegie Mellon University's Security and Privacy Institute. Study participants expected ieatkale88 to be roughly as secure as iloveyou88. One said, "both are a combination of dictionary words and are appended by numbers." 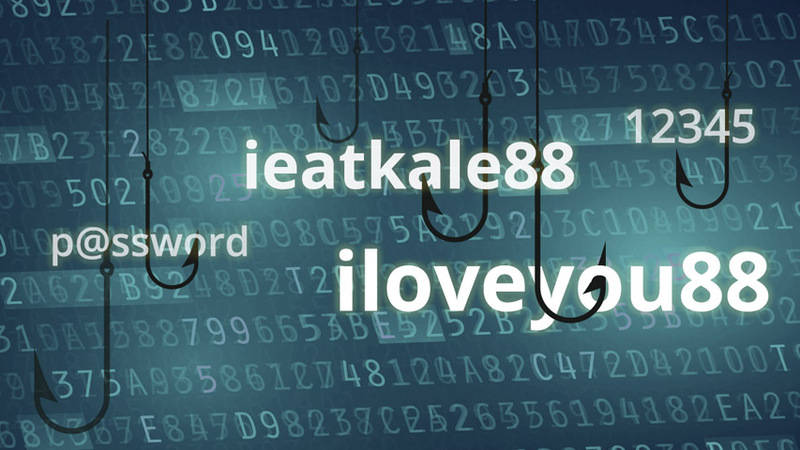 However, when researchers used a model to predict the number of guesses an attacker would need to crack each password, ieatkale88 would require four billion times more guesses to crack because the string "iloveyou" is one of the most common in passwords. "Although participants generally had a good understanding on what makes passwords stronger or weaker, they also had some critical misunderstandings of how passwords are attacked, and assumed incorrectly that their passwords need to withstand only a small number of guesses," said Blase Ur, the study's lead author and a Ph.D. student studying societal computing in CMU's School of Computer Science. Participants, on average, believed any password with numbers and symbols was a strong password, which is not always true. For example, p@ssw0rd was thought to be more secure than pAsswOrd, but the researchers' attacker model predicted that it would take 4,000 times more guesses to crack pAsswOrd than p@ssw0rd. In modern day password-cracking tools, replacing letters with numbers or symbols is predictable. The CyLab researchers' study was presented and awarded an honorable mention at the Association for Computing Machinery (ACM) Conference on Human Factors in Computing Systems in San Jose, Calif. The team of researchers, based in the CyLab Usable Privacy and Security (CUPS) Lab, asked 165 online participants — 51 percent male, 49 percent female from 33 U.S. states ranging from 18 to 66 years of age — to rate the comparative security and memorability of 25 juxtaposed password pairs. In addition, participants were asked to articulate how they would expect attackers to try to guess their passwords. Other authors of the study included Research Assistant Sean Segreti, Institute for Software Research and Engineering and Public Policy Professor Lorrie Cranor, Electrical and Computer Engineering Assistant Research Professor Nicolas Christin and Pennsylvania State University undergraduate engineering student Jonathan Bees. Test your perceptions of password security through an online passwords quiz, produced by Nature.